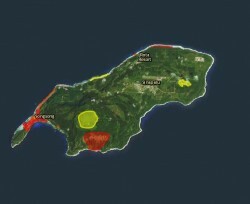 The PICCC’s Science Coordinator Dr. Jeff Burgett was featured on ThinkTech Hawaii to discuss climate change challenges and solutions for forest birds in Hawai`i. Dr. Burgett also discussed strategies for helping communities adapt to climate change. Watch the video on YouTube! 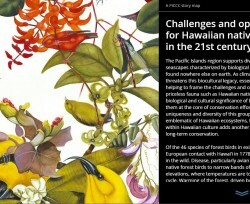 The PICCC’s Story Map, “Challenges and Opportunities for Hawaiian Native Forest Birds in the 21st Century” is now being featured in the ESRI Story Maps Gallery! Check out the ESRI Story Maps Gallery, and in case you missed them, check out the PICCC’s Story Maps.